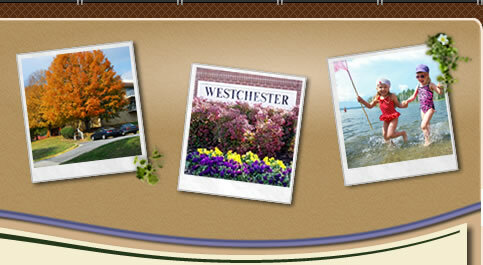 NO GAS DRILLING IN WESTCHESTER! Many local residents have concerns about Gas Drilling in and around residential neighborhoods. This does not mean they are anti-gas and oil, they just do not want it in their neighborhood. 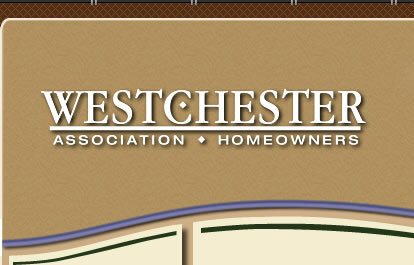 In light of all that we know, and perhaps more important, what we do not know this is likeliest the safest for residential community such as Westchester. It is better to error on the safe side when considering gas drilling in residential neighborhoods because there are simply too many unknowns and detailed research is still years away. The Army Corps of Engineers have declared a 3000 foot buffer from Gas Drilling "fracking” from its dams in Texas and many other states. Unfortunately, the Corps of Engineers do not have complete control over land adjacent to dams they do not own. Various regulatory agencies often do not work in harmony to always protect the rights of the general population that is concerned about such activities. Fracking occurs thousands of feet deep and involve pressurizing shell around 8,000 pounds per square inch. The entire process is designed to hydraulically fracture (frac) the shale and force the trapped gas to the surface. They are changing the geology with extremely high pressure in localized areas. However these wells are often placed in a checker board fashion too. There is some evidence that increased seismic activity more than circumstance yet detailed studies are years away. The gas companies are correct, there is no known connection but there are too many unknowns to be drilling in highly populated urban neighborhoods. Most experts will say the same thing but most are now leaning toward the theory that there is a connection. 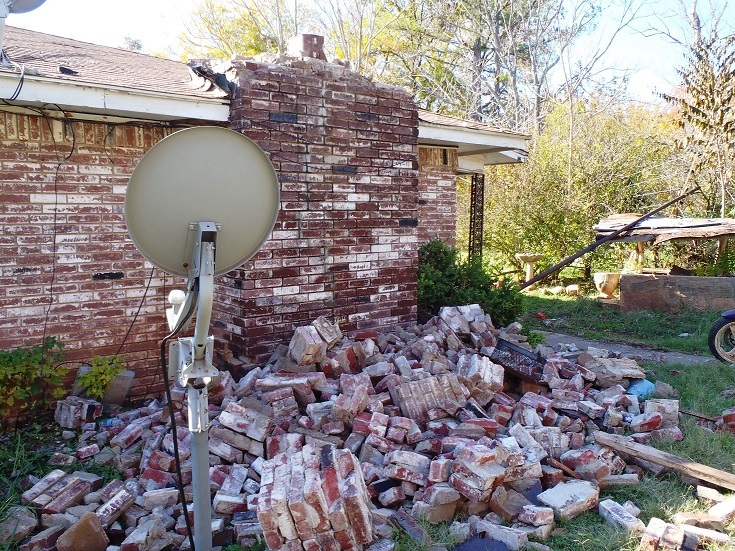 The U.S. Geological Survey says “the number of earthquakes has increased dramatically over the past few years within the central and eastern United States. Nearly 450 earthquakes magnitude 3.0 and larger occurred in the four years from 2010-2013, over 100 per year on average, compared with an average rate of 20 earthquakes per year observed from 1970-2000. Earth's crust is pervasively fractured at depth by faults. These faults can sustain high stresses without slipping because natural "tectonic" stress and the weight of the overlying rock pushes the opposing fault blocks together, increasing the frictional resistance to fault slip. 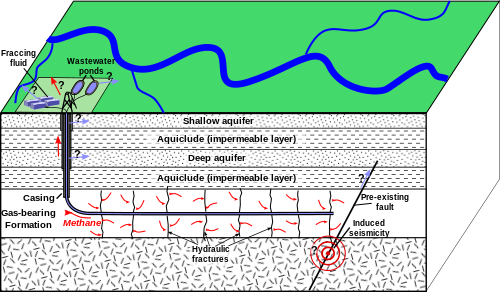 The injected wastewater counteracts the frictional forces on faults and, in effect, "pries them apart", and thereby facilitating earthquake slip. Are earthquakes induced by fluid-injection activities always located close to the point of injection? This is particularly scary when you consider many wells are located like squares in a checkerboard about 5 miles apart. Most people think we should develop all forms of energy to move toward more independence of foreign energy. Electric and hybrids cars do not necessarily reduce pollution as the electricity is often produced by burning of fossil fuels. However they do move the pollution away from urban areas where people live. Likewise, Let’s work together to keep gas drilling out of highly populated urban areas until there is irrefutable proof Fracking is safe in this setting.